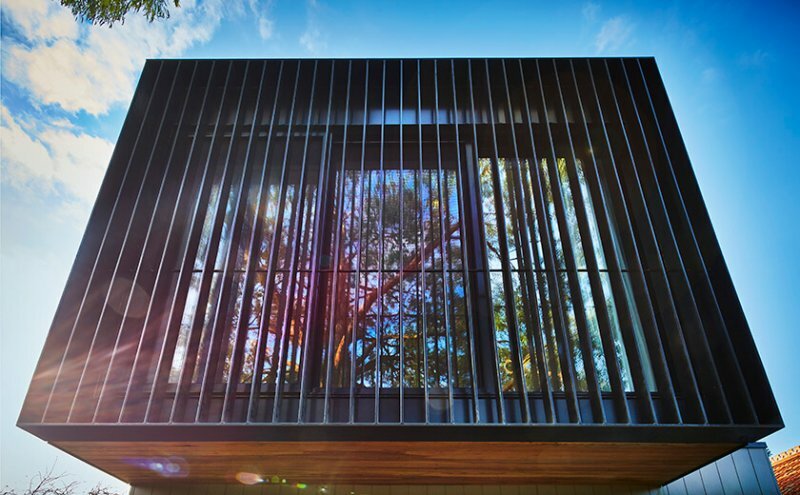 While architectural screens may have begun as technical necessities to achieve passive solar design and privacy, they have quickly evolved to become aesthetic features. 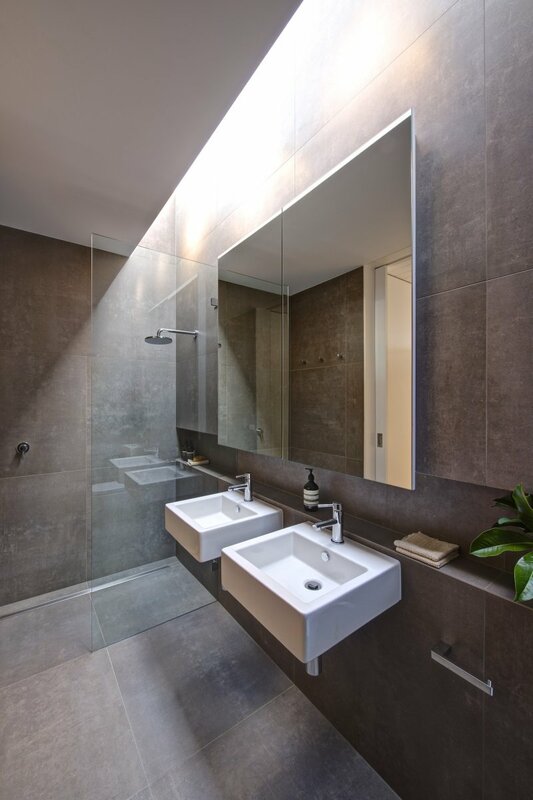 With an ever increasing number of materials and styles, these incredibly versatile and attractive additions are fast becoming a major design trend. 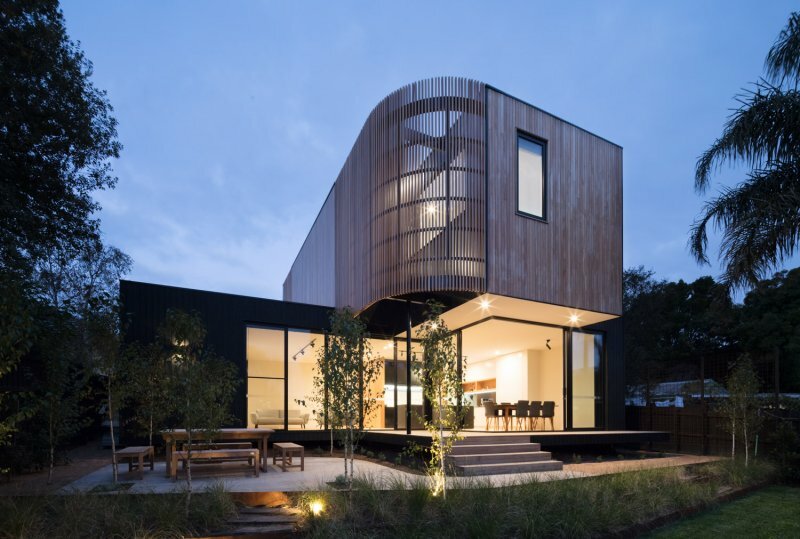 One of the great things about screens is the seemingly endless variety of expression they can lend to homes and buildings. Indeed, with developments in technology and the ability to quickly and cost effectively produce items in bulk, our imagination seems to be the only limit to what can be achieved. 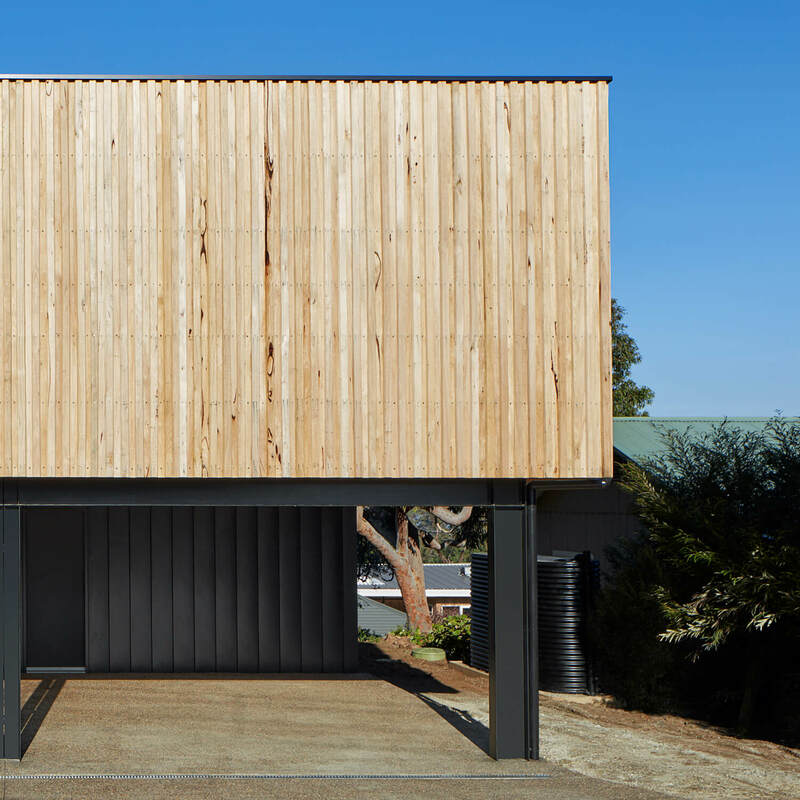 For large buildings, perforated metal sheeting and woven wire mesh have become hugely popular, while vertical timber-battens are a common feature in modern house design. But with untapped possibilities, new materials are also being used including faceted fibreglass rosettes, which open and close in response to the temperature, and double screen facades made from special tiles that can clean the air around it. From a decorative point of view, the trend at the moment is to incorporate geometric patterns to provide visual interest and cast light in attractive ways. Also, the use of raw and natural building materials form patinas and change colour over time which ensures the building ages gracefully in place. In the harsh Australian climate, where control of the natural environment is a major consideration, architectural screens provide the ability to manipulate light, heat and sound to increase sustainability and comfort. As the sun’s potency is the primary contributor to over-heating and the associated costs with cooling, screens can effectively limit the sun’s direct rays and consequent glare, while still allowing natural light to enter. In fact, as screens are generally oriented to respond to solar movement, they form a very cost effective way to prevent heat gain and loss while lessening reliance on the electricity grid through the provision of natural light. 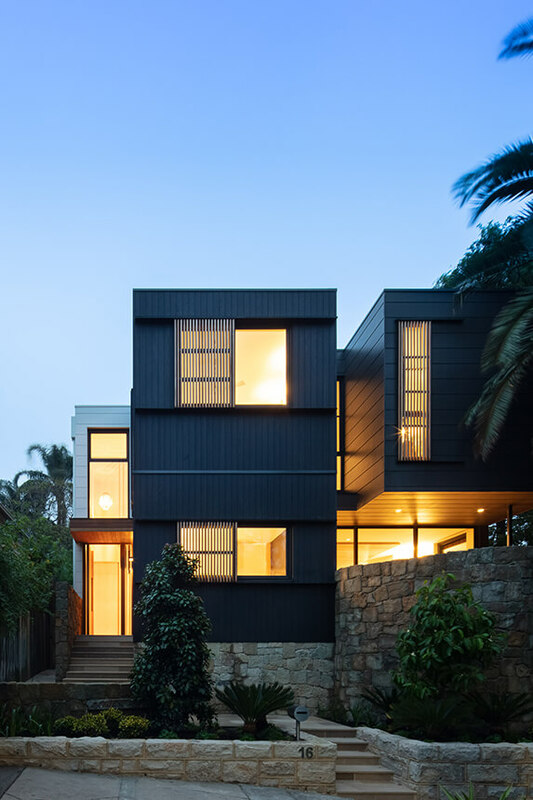 Combined with high-quality window glazing and correct orientation, they provide a major tool in sustainable house design and help to make a home comfortable and cost efficient. While light can bring beauty to any environment, too much light can wash out an area and make it uncomfortable for rest and play. Natural sun light is vitally important for health and happiness but mediating the strength and angles of the sun can really make or break the ambiance of a space. Glass is commonly used to perform this function, but glare and glow can sometimes be hard to manage through the uniform material. An alternate design approach has been towards perforated, shaped and structured screen designs to control and mediate light and create the desired internal atmosphere. 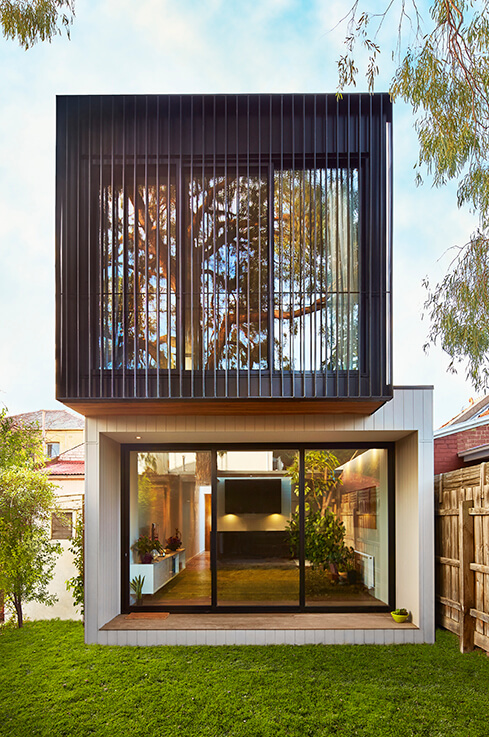 Where privacy is concerned, screens are ideal to provide a balance between privacy and outlook. As most people want to maintain their views while blocking the prying eyes of others, the design and shape of your screens is crucially important. So too is screen orientation. Cuts, configurations, size and spacings should be carefully selected for their utility to make sure the screen affords the view you desire while protecting against the views you don’t. Similarly, the ability to adjust the permeability of the screens with flexible and moveable installations could be a great option for playing with changing conditions. Often planning regulations and ResCode standards stipulate that views into neighbours’ private open space should be mitigated. Architectural screens can be a great way to prevent overlooking issues into neighbouring properties – especially on first and second levels. Need some inspiration? 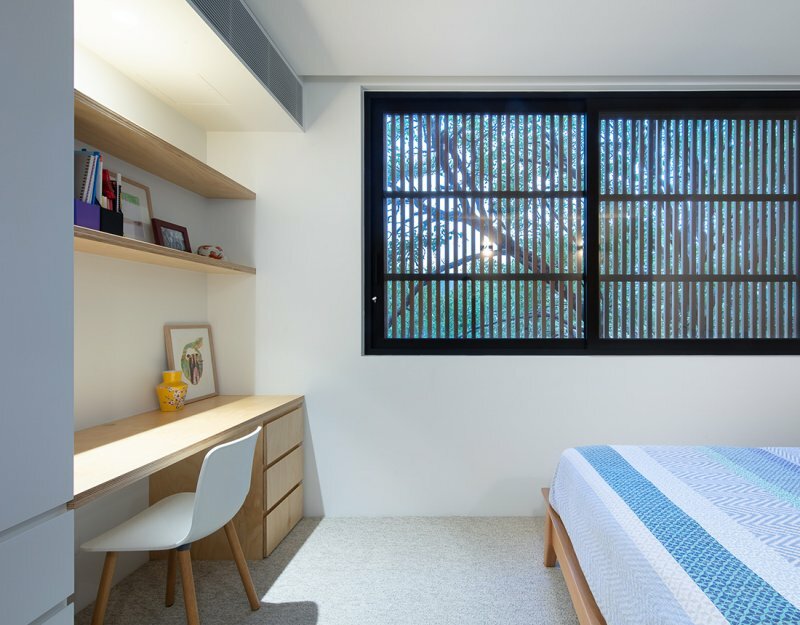 Check out our Gallery page or follow us on Instagram for examples of architectural screens utilised in Modscape’s modular homes. 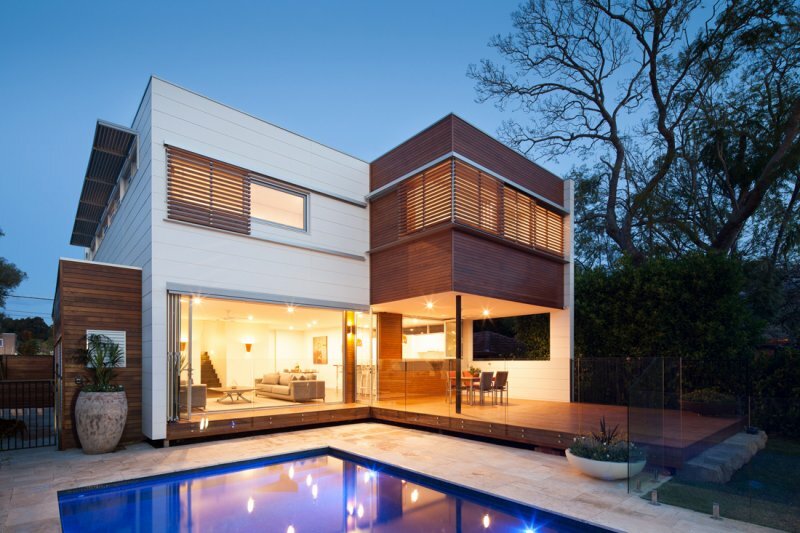 Your choice of cladding can play a vital role in both the look and efficiency of your future home. Here are three popular cladding options used in Modscape’s modular homes. Eco home design basics could save you thousands of dollars and heavily reduce your carbon footprint. 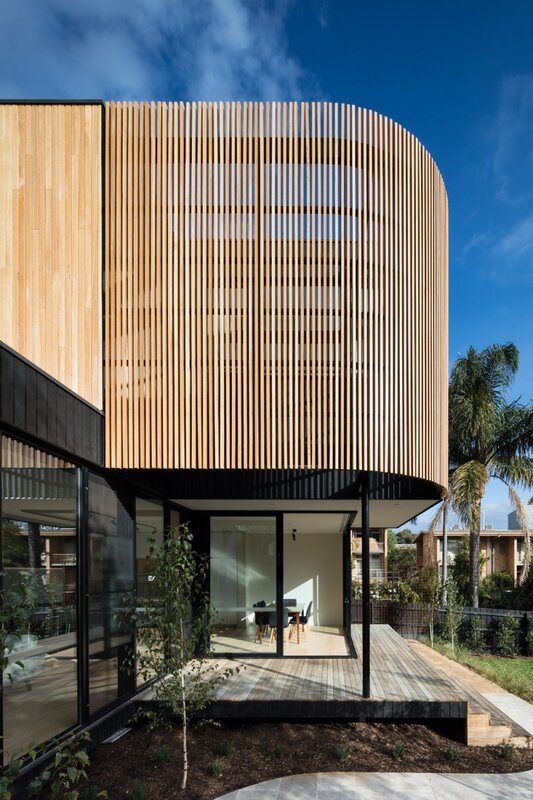 Consider using these principals when designing and building your environmentally friendly home. 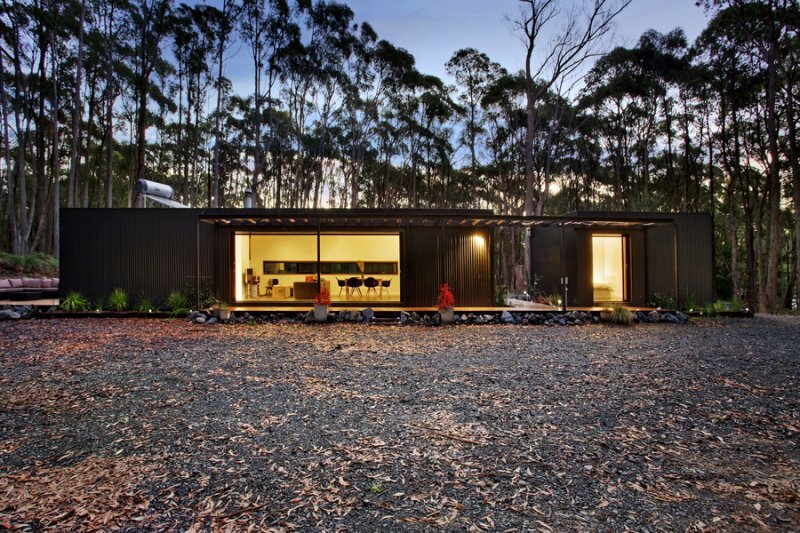 Building in a bushfire prone area? It’s important to know the classifications and what the building requirements are before you begin planning your future modular home.